We have two ways in which you may want to pay for your dental treatment. Many patients find being a member of our Denplan scheme a great way to budget their monthly outgoings to pay for their dental care. Following an initial assessment and completion of any treatment needed, your dentist can provide you with a quote from as little as £12.16 a month. 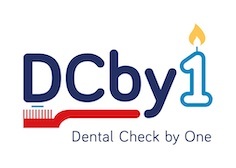 Covering all your check-ups, radiographs, hygienist visits and majority of dental treatment. You will also receive supplementary insurance which goes towards the cost of dental treatment in an emergency or following a dental injury, and can be used in the UK or abroad. As an alternative you are welcome to ‘pay as you go’. With set fees it is also easy to know how much treatment will cost you. Examples of some of these fees are shown below. At Willow Street Dental we are accepting existing and new Denplan patients to help spread the cost of routine and emergency dental treatment. If you would like register as a patient or would be interested in joining Denplan contact us on 01691 652143 or contact us.